Eamon Brennan is a real estate broker with the Bridge International Team at Compass. A former collegiate athlete, Eamon brings that work ethic, collaboration and dedication into his real estate practice. A people person by nature, Eamon prioritizes relationships with his clients and puts customer service first. 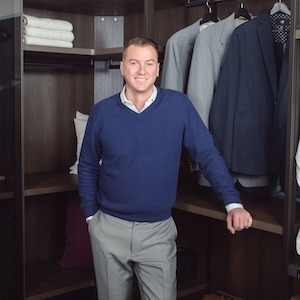 Prior to launching his real estate career, Eamon worked as a trader at the Chicago Board of Trade before spending 10 years in the hospitality industry. Eamon completed his bachelor’s degree at Purdue University. A 15 year resident, Eamon has an inherent familiarity and love of Chicago, its neighborhoods and suburbs. In working with Eamon, you can expect a down to earth agent with the drive, knowledge and commitment giving you the best experience possible.